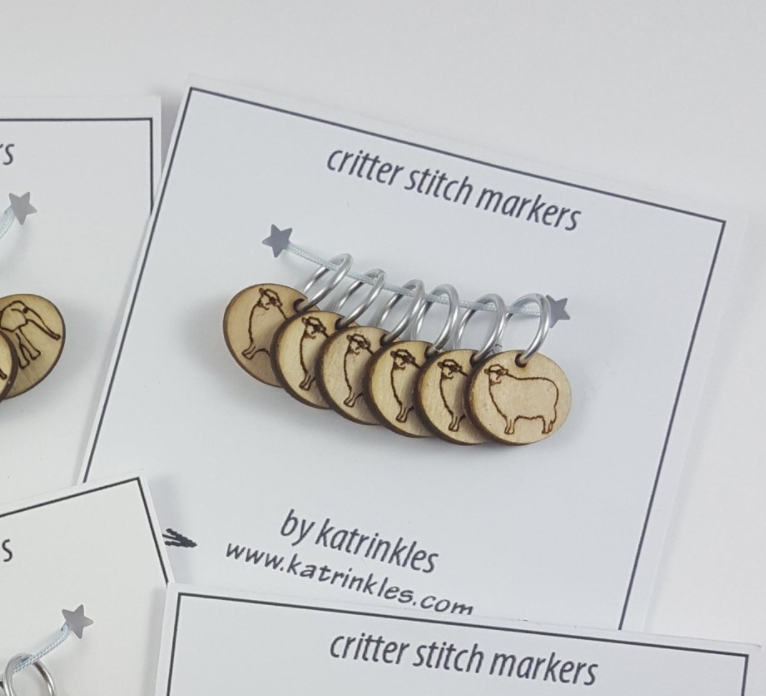 These sets of six stitch markers by Katrinkles will make your knitting extra cute! They will will not only decorate your knitting but they're a useful tool for assisting you with following your pattern. The markers themselves are made of 1/8" birch and the animals are laser cut onto the face and hand finished in the Katrinkles studio in Pawtucket, RI. The metal rings have a 9.5mm inner diameter. They are big enough to fit over size 17 needles but not so big that they're uncomfortable to use on smaller knitting projects. 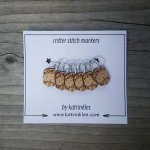 Your stitch markers will arrive carded in a set of six. Because they are made of a natural material, the appearance of each marker may slightly vary.